ACS Data Recovery specializes in providing our services to Government Agencies and all branches of the military. We are a registered trading partner with CCR (Central Contractor Registration) and we are a registered Dun & Bradstreet company. We know the unique requirements for dealing with all levels of government and military agencies, and we can make the necessary accommodations to give you the best service possible. ACS Data Recovery has performed data recovery services for every branch of the military, various levels of government and defense contractors. We have provided our data recovery services to every level of government, every branch of the military, major defense contractors, law firms, health care facilities, universities, and corporations. 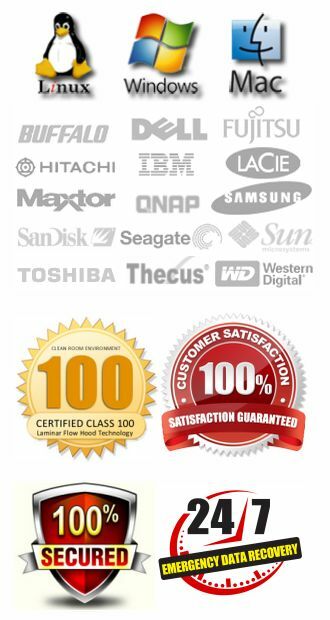 All of our data recovery work is kept in the most strict confidence, and your data is secured within our labs at all times. We often sign additional non-disclosure and confidentiality agreements in order to strictly enforce the privacy of your data. 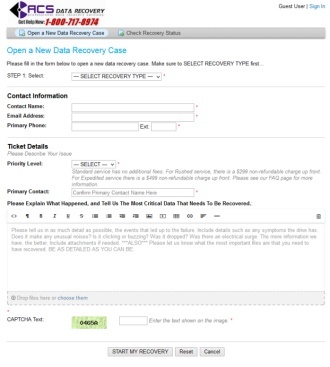 If you are interested in doing business with ACS Data Recovery, we would be happy to supply you with any additional information you may need so that the recovery process can be completed as smoothly as possible.